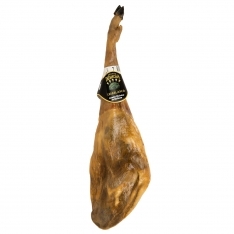 Exquisite acorn-fed iberico ham, supplied boneless in vacuum packaging for convenience and freshness. 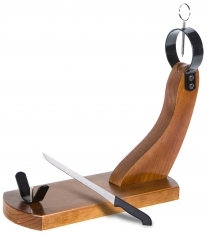 This ham is perfect for snacks or treats! In Spanish, it's known as, "Jamón ibérico de bellota Ibéricos Dehesa Casablanca deshuesado". 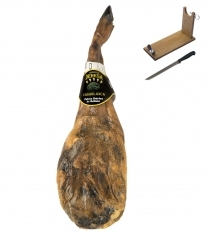 Format : This acorn-fed iberico ham comes in transparent vacuum packaging bearing the logo of the Dehesa Casablanca company. Storage : This acorn-fed iberico ham should be kept in its vacuum packaging, and stored in a cool, dry place, between 4°C and 7°C.